Hello everyone! 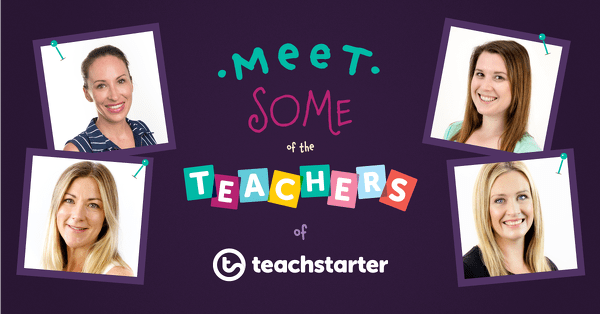 Are you ready to meet the teachers of Teach Starter? You may have read one or two of my blog posts over the past few months, but I thought I’d take the time to formally introduce myself. My name is Emma, and I am a teacher. Did you know that all of the content producers at Teach Starter – the digital content and the resource creators – are teachers? A few weeks ago, I had the wonderful opportunity to represent Teach Starter at the Relief Teacher Association conference in Brisbane. I spent a couple of hours chatting to all the attendees (many of whom had been full-time teachers or were doing relief to get experience before diving into the world of full-time teaching). Something struck me during these chats. As soon as people found out that I was a fully-registered teacher, their demeanor became more relaxed and the conversation became more open. I could tell they suddenly felt reassured that yes! I did know what I was talking about! And yes! I did understand their needs and requirements, better than someone who had never stepped foot in a classroom. It sparked inspiration in me, and I thought I’d take some time out of writing about Christmas craft and end of year activities. If you are reading this blog, that probably means that you have read at least a few of our previous blogs over the years. We in the Digital Content Team (or blogging team, in layman’s terms!) come to work excited every day to help our members make their classrooms buzz. We would not be able to give you the advice and suggestions we give you if we didn’t first understand the way a classroom ticks. No-one knows a teacher’s life quite like a teacher! And despite the fact that we are now all working in a very different environment to a school, we all very firmly believe that teaching is a passion, not a just job. It’s in our blood. So, without further ado, please allow me to introduce you to all the wonderful Teach Starter teachers in the Digital Content Team! What type of teaching did you do? I specialised in Early Years teaching. I taught Year 1, Year 2 and Year 3. I absolutely loved teaching in the early years. Their eager eyes looking up at me waiting for the next instruction. How they accidentally call you Mum and then giggled to themselves. The Early Years are the best years (in my opinion) as you see so much growth in your students in such a short period of time. They can come to you not knowing how to read and leave you reading confidently! How amazing is that? What do you miss most about teaching? I miss the interaction with the kids, the funny things that used to come out of their mouths. 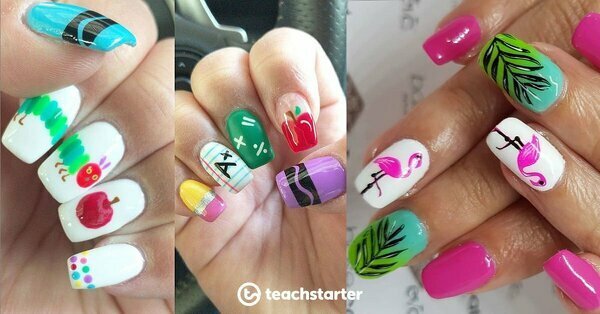 How does your experience with teaching help you at Teach Starter? 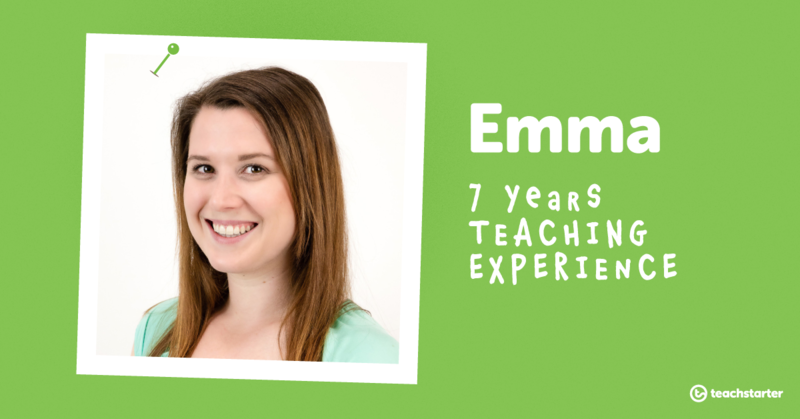 My experience as an Early Years teacher has been so important working at Teach Starter. 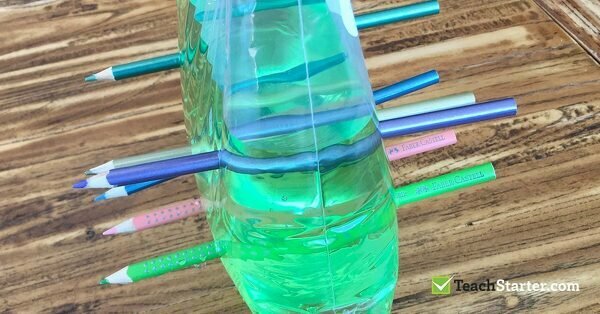 Having that knowledge of what works and doesn’t work in an Early Years classroom has been a vital component. Knowing what resources would work and what wouldn’t work. Ensuring there are hands-on activities or ideas available on the website and being able to share my views on how to run a classroom’s guided reading session or how to develop maths rotations has been my favourite part. Without my experience in the classroom, I don’t see how I could give this advice. I love when teachers come up to me at different education expos and say how much they enjoyed reading one of my blogs or watching my crazy Instagram stories. 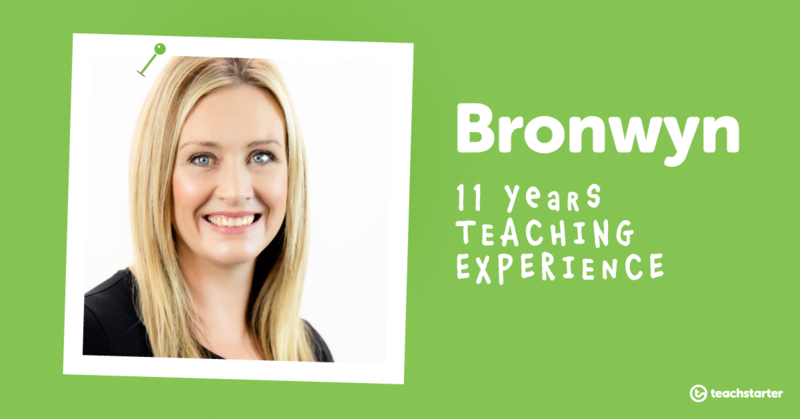 I specialised in Early Years education and was a prep/grade one teacher for three years at the beginning of my career. In between having my kids I was a supply teacher, and after that I have been a Year 2 classroom teacher and a Years 3 and 4 learning intervention teacher. I taught in two very different schools, in Brisbane’s West and South. One was small – with fewer than 300 students, the other huge and culturally diverse, with almost 1400 students. Everything. I loved the kids most of all. I loved having a job that made me smile every single day. I loved the gorgeous things little ones say, and observing them making connections and finding out about the world. I feel so lucky to have been a teacher and met so many students. My first class, who were in Grade One in 2007, are graduating high school this year and I love seeing how they’ve grown and developed into amazing young adults. I would be kidding myself if I said I didn’t miss teaching! I miss hearing my name “Mrs Brady” 300 times a day, I miss the kids’ enthusiasm and even those who lacked enthusiasm (challenge: accepted!). I miss that “nailed it!” feeling you get as an educator when you’ve taught a concept to death and it clicks for someone who just hasn’t got it yet. I don’t miss reporting, late night planning, juggling my own kids’ needs with my “other” kids (students’) needs, and the mental strain that comes from a job like teaching where you just never switch off. In my role as a Digital Content Producer, I get to create new resources and also blog about how teachers can make use of all of our amazing resources on the Teach Starter site. Because I got to work in lots of different roles in the Primary system, I feel confident knowing how teachers operate. They’re creativity rich but time-poor, so they just need everything to be really simple to access and use. Having been a teacher, I can tell which of my ideas teachers would use, and which they just wouldn’t have time to fit in. Being familiar with the national curriculum is really helpful as we align our resources and also our blogs to what teachers are actually teaching at various times of the year. I have taught as a classroom teacher, across Years One to Year Six. I have four years’ experience of teaching boys in GPS schools. I have also taught pre-service teachers as a university tutor at Macquarie University, NSW. I began my teaching career at Acton Church of England Primary School, in the rural market town of Nantwich, UK. Here I taught Year 3 as well as a composite Year 1/2 class. In 2009 I migrated to Australia and secured a teaching position at Anglican Church Grammar School in QLD, where I taught Year 6 and Year 3 boys. Life took many twists and turns as always. I relocated to Sydney, NSW due to my husband’s work and secured a position at Sydney Grammar School, NSW. Here I taught Year 5 and took on a Grade Coordinator role. After having my first child, I took a break to be a full-time mum. During this time, I continued to immerse myself in Primary Education and particularly, children’s literature. Then, I got a phone call out of the blue and was asked to join the Education Faculty at Macquarie University. Here I worked as an academic tutor, facilitating workshops and working closely with pre-service teachers. The thing that I loved most about teaching was knowing that I was making a real difference to lives and society. I loved making connections with students and building strong relationships. I loved the uniqueness of every day. I miss working with children more than anything. I miss the smiles. 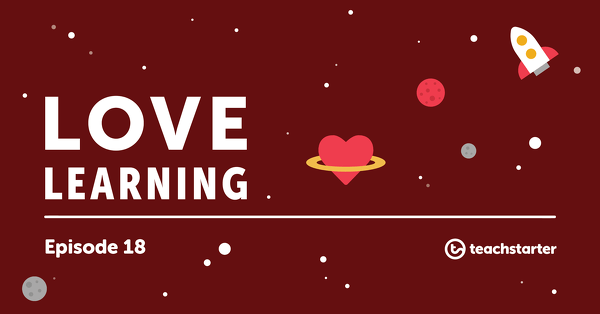 My teaching experience helps me to connect with teachers and students through the teaching resources that I create and the blogs that I write. My experience of teaching both high achieving students and less confident students, gives me insight into what students need. I understand the pressures that teachers are experiencing. When I write blogs, I imagine that I am writing to a friend and colleague. I have taught a Grade 3/4/5 multi-year class, a Grade 4/5 composite class, Grade 2, Grade 4 and Grade 5. A bit of everything! I taught in a co-educational school in Brisbane and an all-boys GPS school. My favourite thing about teaching was the ‘lessons’ in between the curriculum. The moments where you got to chat with your class about real-life lessons and help them grow as people. Stuff that you didn’t get taught in literacy and numeracy! I also loved sharing in the achievement of a student who has finally reached a goal that they’ve been striving towards. I miss the moments when your lesson just flowed. Your students were engaged, learning and having a good time while doing it. This didn’t happen all the time, mind you! But it gave me such a buzz. I also miss the opportunity to see students growth over the course of the year. Seeing them come to your classroom as wide-eyed vessels for knowledge and leave at the end of term 4 another year wiser (and taller!) was really rewarding for me. I feel a real enthusiasm and passion for working at Teach Starter. I feel I can help all our members because I know exactly how much our resources and ideas would have helped me when I was teaching and incredibly time poor. I know the curriculum and how kids and classrooms function, so I try to keep that in mind whenever I’m suggesting ideas or creating resources. I love my job at Teach Starter, because I have so much time to focus on the creative side of teaching! I wouldn’t be so enthusiastic about my job if I couldn’t visualize how each resource could be used in school. We hope you enjoyed getting to know us! Stay tuned to meet the other teachers in the office – the Resource Team!